Former "House of Cards" star Kevin Spacey must appear in a Massachusetts court on accusations that he groped a young man in 2016, a judge ruled on Monday. The 59-year-old Oscar-winning actor had argued he should be excused from attending his Jan. 7 arraignment at the Nantucket District Court because his presence would "amplify the negative publicity already generated in connection with this case." But Judge Thomas Barrett denied Spacey's request. An attorney for Spacey, Juliane Balliro, had argued that Spacey's presence at his arraignment would only "heighten prejudicial media interest in the case" and increase the risk of contaminating the jury pool. 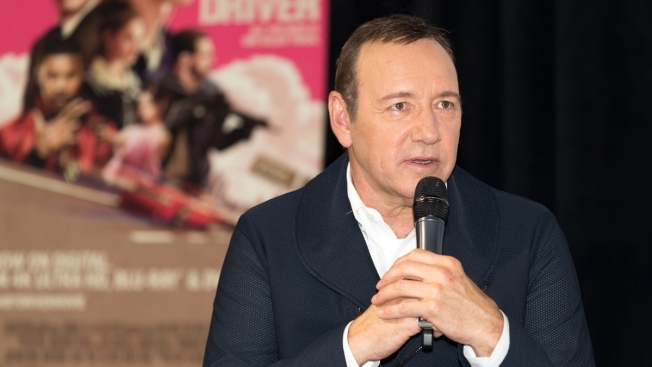 Emails seeking comment on the judge's ruling were sent to Spacey's attorneys and the district attorney's office handling the case. Neither Spacey nor his lawyers have addressed the allegation publicly, but the actor released a video last week in the voice of Frank Underwood, his character on Netflix's "House of Cards" in which he said, "I'm certainly not going to pay the price for the thing I didn't do." Spacey's attorneys have also questioned the evidence against him. Los Angeles-based attorney Alan Jackson noted during a hearing that Unruh's son did not report the allegations to police right way, lied about his age saying he was 23, and said he was so intoxicated he may have blacked out shortly after Spacey allegedly groped him, according to an audio recording of the hearing obtained by The Boston Globe. Unruh told reporters that her son didn't report the assault at the time because he was embarrassed and scared. Her family decided to come forward after others went public with allegations of sexual misconduct against Spacey and other celebrities, she said.